I recently had the opportunity for an early read of a book that's coming out in October 2013: RECLAIMED by Sarah Guillory. I really enjoyed it and offered a blurb for promotion. Here's what I said: "Packed with atmosphere and surprises, Reclaimed is one of those rare books that kept me guessing throughout and inspired an immediate reread." Tiffany Schmidt, author of SEND ME A SIGN, said this: "RECLAIMED broke my heart, changed my mind, and I couldn't turn the pages fast enough." I hope you'll check it out in October! In the meantime, Sarah Guillory is giving away two advance reader copies of RECLAIMED, in which she's hand written her insider notes for the lucky winners. 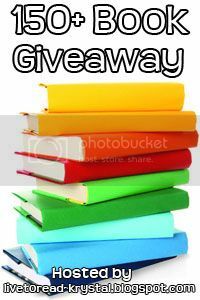 She is also giving away a copy of my first novel, FREEFALL, and SEND ME A SIGN by Tiffany Schmidt. Please click here to enter the giveaway and to learn more about Sarah Guillory and her debut novel! Rookie Magazine recently posted a list with mini-reviews of "Books that Helped Us Come of Age." I am thrilled that Live Through This made this list (alongside books by Jane Austen and Edith Wharton)! Stephanie Kuehnert, author of Ballads of Suburbia and I Wanna Be Your Joey Ramone, wrote the review, in which she says (among other lovely things): "Live Through This is a painful read, but it’s also powerful, hopeful, and essential for breaking the silence." 1. I'm hosting author Suzanne Lazear at my blog, who shared a playlist, as well as a short video she made. 3. I've provided exclusive content to author Rachel Carter for her blog. You can read texts from Coley's phone in Live Through This, as well as listen to recorded voicemails from Reece and her mom. Everything wraps up and will be taken offline at noon on April 7, 2013, so if you'd like to participate in the Hunt, check out the exclusive content, or enter to win books at my blog, hurry, hurry, hurry! I'm giving away an ARC of Lindsey Leavitt's lovely new YA novel GOING VINTAGE, which comes out next month. If you'd like to enter, please visit my other blog. It's easy! Just leave a comment on that post telling me something about you. :-) The giveaway ends on February 19, 2013 at 9pm PST. (U.S. addresses only.) So, please hurry to enter!